SHEilds are one of the world’s leading health and safety training providers with over 17 years experience mentoring around the globe. To meet all of your health and safety training needs we operate in a variety of industries offering elearning training for: IOSH, City and Guilds, ProQual and NEBOSH Courses. CLICK ON A TRAINING COURSE PROVIDER TO LEARN MORE. 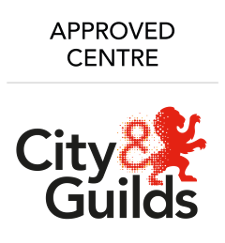 SHEilds offer a wide range of IOSH City & Guilds, ProQual and NEBOSH courses to individuals that are interested in progressing their career by training via elearning with SHEilds. With dedicated students all over the globe we are confident in our ability to give you all of the health and safety training you need, to get you to where you need to be. Our students have achieved some of the highest honours from awarding bodies. SHEilds corporate division provide a blend of elearning & classroom training courses tailored to fit all business models. Our global reach allows us to fully support large International companies supporting them for Health, Safety and Environment eLearning training. Our consultative approach includes audits, strategic planning & multiple learning delivery methods. Ongoing measurement and assurance of best practices and industry standards are key in supporting our clients training programs. 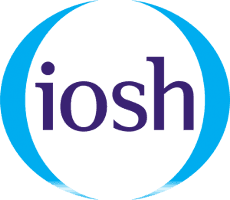 We post updates daily that will help and interest you for IOSH – City and Guilds, ProQual and NEBOSH courses along with general Health and Safety updates. Whether you are a new student or a recent graduate – our Health & Safety blogs will help to keep you up-to-date on the industry. NEBOSH are the National Examination Board in Occupational Safety and Health. Globally recognised for setting the highest international standards in health and safety. Ensuring robust examination values and maintaining the integrity of the qualifications gained. The qualifications gained from NEBOSH courses range from Awards to Diploma level. How do I know I am choosing a quality provider? SHEilds are one of the largest providers of NEBOSH courses globally and have thousands of students studying NEBOSH qualifications at any time. We are trusted by many large multinational organisations with their training requirements. eLearning is an online platform designed with interactive materials for courses, incorporating; video, audio, interactive games, quizzes and other multimedia content, Combined with experienced online tutor support and student forums. 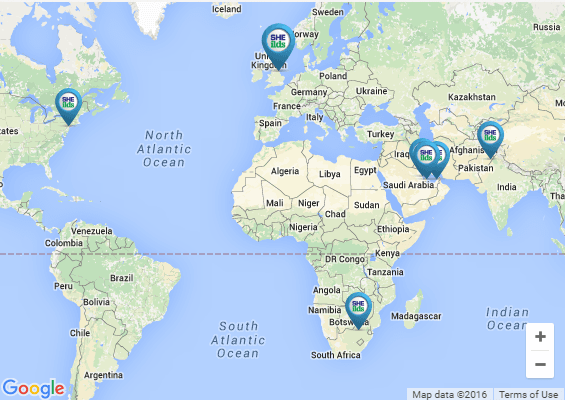 Are NEBOSH qualifications recognised globally? In fact NEBOSH qualifications are recognised globally as the leading standard for the health and safety industry. There are also more specific international training courses which are based on international best practice and guidance on integrating this with local legislation. Are there any memberships or post nominal letters available? Yes, many of the courses provided by SHEilds offer the relevant entry requirements to membership of internationally recognised organisations such as IOSH and IIRSM which can offer post nominal’s i.e. TechIOSH – CMIOSH , depending upon your qualifications, experience and review by the membership body. Successful graduates of the NEBOSH courses at Diploma level, may use the post nominal’s Dip.NEBOSH. Where can I sit the Examinations? Examinations for NEBOSH courses will be arranged by us and can be taken through our network of test centres globally, other venues are offered such as British Councils or local universities where available. Candidates can study any time, 24 hours a day, 7 days a week, anywhere in the world. What is required for eLearning? The only requirement to undertake an eLearning course with SHEilds. is to have access to a PC with internet facility. Will I have access to a course tutor? Yes, tutors are available by telephone and email for each of our eLearning courses, also candidates have access to online forums were candidates can post questions to tutors and all other candidates studying the same course. How will I know what course I should take? SHEilds customer services team can advise candidates on which courses are available and help you decide on which eLearning course would best suit your individual needs. When can I enrol on an eLearning course? Candidates can enrol at any time due to the flexibility SHEilds have built into their eLearning courses. Enrolling is simple by completing a SHEilds booking form, which is available from any SHEilds representative, or telephone your local SHEilds office who can process the enrolment on your behalf. The HUB of our elearning services is provided directly from the UK and additionally supported by tutors from our global office locations, each tutor is focused on their specialist training topic areas and bring their own unique skill sets to a supporting role that our students can rely on. You’re in safe hands with SHEilds. As a SHEilds student, our tutor support and examinations teams are at hand to discuss your needs and provide comprehensive advice to help you through your chosen qualification(s) and are contactable 24/7. SHEilds is a company with one aim – to train our customers to achieve their goals whether that be promotion, a new job, a higher salary or to be better prepared in their work. By this we feel that we have made a contribution to making the world of work a safer place for not only our customers but their work colleagues and anyone they come into contact with during their working day. We started with just a few NEBOSH courses and now operate on a Worldwide basis, often having an on the ground presence, with a strong focus on the emerging markets and the support of underprivileged areas. SHEilds has been operating for over 15 years, in that time we’ve taken enormous satisfaction in training thousands of international students who have gone on to bigger and better things with a quality and a Worldwide recognised qualification. We take pride in what we do and are only satisfied when our customers are too. Many of our students have come back to us to further enhance their qualifications. Classroom and eLearning training available 24 hours per day, 7 days a week. Workshops are available to support you through your eLearning qualifications. On line tutor support available for eLearning courses. One to one tutor contact. Periodic evaluations / assessments throughout your courses. With offices distributed around the globe, SHEilds are perfectly situated to provide training services and support to students anywhere around the world.We pride ourselves on delivering our high quality health and safety training services to individuals and small businesses (SME’s), right through to enterprise and corporate level business markets. SHEilds course advisors are at hand at our global office locations to help you through any questions or difficulties when making a career decision in health and safety. The SHEilds eLearning platform is securely hosted directly from Rackspace ® London based UK servers and housed in one of the most state of the art data-centers in the world. Rackspace are fanatical about customer service and support with emphasis on reliability and are close competitors with Amazon as the worlds largest hosting provider. SHEilds technical support although primarily provided from the UK, is additionally supported by our expert course advisors, who can be found at our global office locations and are very happy to assist with any query.